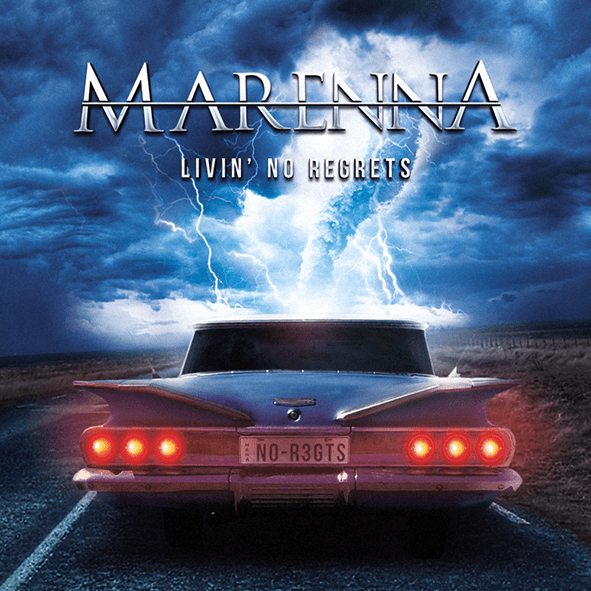 Marenna : "Livin' No Regrets" CD February 2018 Sony Music. Marenna : “Livin’ No Regrets” CD February 2018 Sony Music. AOR / Rock / Hard Rock band. Rob Marenna is back to bring us a live album regrouping his music with guests. The project started back in 2014 has found its way and after few albums and sharing his passion with other musicians , it was time to make a live album to explore the experience with the fans such it is a great moment in the life of an artist. Recorded live in city of Caxias do Sul, Brazil during the “No Regrets Tour” in 2016. Fourteen songs with artists such as Arthur Appel (bass and vocals), Aaron Alves (guitar and vocals), Gionathan Sandi (drums) and special guests from Sasha Z (Guitar), Jonas Godoy (guitar and vocals) and Maurício Pezzi (Keyboards). Rob Marenna is just a talented artist who knows how to make great songs and always find the right musicians to empower his ideas to get them the best you can get in the music world. So if you got a chance to see him live don’t miss that chance to live a fabulous moment. It’s a brilliant album to shine your days of melodies and good vibes. This is a great mix of awesome musicians getting a great piece of music history and the sound although it’s a live one, has a mix as good as a studio album. So if you are ready to get on the road jump in the back sit and enjoy your journey 100/100.